Ron Howard and Jim Nabors are only Andy Griffith stars still alive. The Who’s Alive and Who’s Dead website lists Ron Howard 59 and Jim Nabors 80 as the only surviving stars of the Andy Griffith Show. Howard McNear who portrayed Floyd the Barber was the first cast member to die, since he passed away in 1969 the year after the show left the air. He died at a comparatively young 63. Frances Bavier (Aunt Bee) died 20 years later in 1989 at the age of 86. Adam West (Batman) 85 and Burt Ward (Robin) 68 are two of four surviving members of the Batman cast. Two actresses who played Catwoman are the only other surviving members of the cast. Yvonne Craig is now 76 and Julie Newmar is 78. Madge Blake who portrayed Aunt Harriet died in 1969 at the age of 69. The next one on Batman to die was Stafford Repp who played Chief O’Hara, who died in 1974 at the age of 56. Donna Douglas 80 who portrayed Elly May and Max Baer Jr. 76 are the last members of Beverly Hillbillies cast that is still alive. Irene Ryan who played Granny on Beverly Hillbillies was the first to die, at the age of 70 in 1973. Raymond Bailey who portrayed banker Milburn Drysdale died next at the age of 75 in 1980. David Canary who played Candy Canaday on Bonanza is only surviving member of the show at the age of 75 and Bonanza was on the air from 1959-1973. Dan Blocker who portrayed Hoss Cartwright died before the show finished its run dying, at the age of only 43 in 1972 due to a pulmonary blood clot. Michael Landon who played Little Joe Cartwright died at the age of 54 in 1991 from pancreatic cancer. 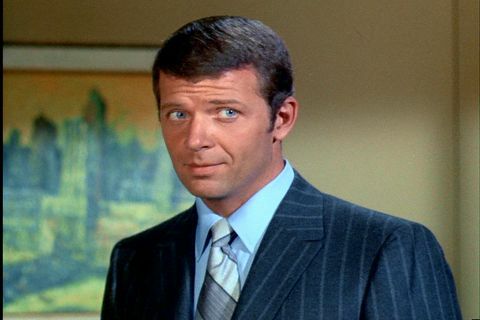 Robert Reed who portrayed Mike Brady on the Brady Bunch and Allan Melvin who played Sam the butcher are only actors on the show who have died at the age of 59 and 85 respectively. Ann B. Davis 87 who played Alice on Brady Bunch is one of several Brady Bunch actors and actresses still alive. Florence Henderson is now 85 and portrayed Carol Brady. Barry portrayed Greg Brady and is now 59. Maureen McCormick who played Marcia Brady is now 57. Christopher Knight is now 56 and was Peter Brady on the show. Eve Plumb played the part of Jan Brady and is 55 years old. Mike Lookinland is now 53 and played Bobby Brady. Susan Olsen is the youngest surviving Brady at the age of 52. She played Cindy Brady on the show. Dale Robertson who starred in the television series Tales of Wells Fargo died last Wednesday at the age of 89 in San Diego, California at the age of 89. He died of complications from lung cancer and pneumonia. Robertson was born Dayle Lymoine Robertson in Harrah, Oklahoma on July 14, 1923. He served during World War II in a tank crew and in the combat engineers in North Africa and Europe. He sustained an injury in both the North African campaign and in the European theater. Will Rogers Jr. advised Robertson to avoid formal acting training and to just be himself. Robertson made his movie debut portraying a policeman in The Boy With Green Hair released in 1948. He only appeared in movies till 1956, when he made his television debut in an episode of Ford Television Theatre. He continued to appear in television and movies till 1957 when he became the star of Tales of Wells Fargo was Jim Hardie on the series. 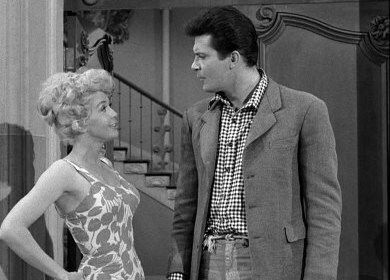 The show ran from 1957-1962 and Robertson appeared in all 200 episodes. The show featured several well-known guest stars including Eddie Albert, Chuck Connors, Buddy Ebsen, Michael Landon, Steve McQueen and Jack Nicholson. He then starred in Iron Horse which was seen from 1966-1968 and 47 episodes of the series were filmed. He didn’t star in another television series until 1987-1988 when J.J. Starbuck ran for only 16 episodes, in which Robertson played the title role. 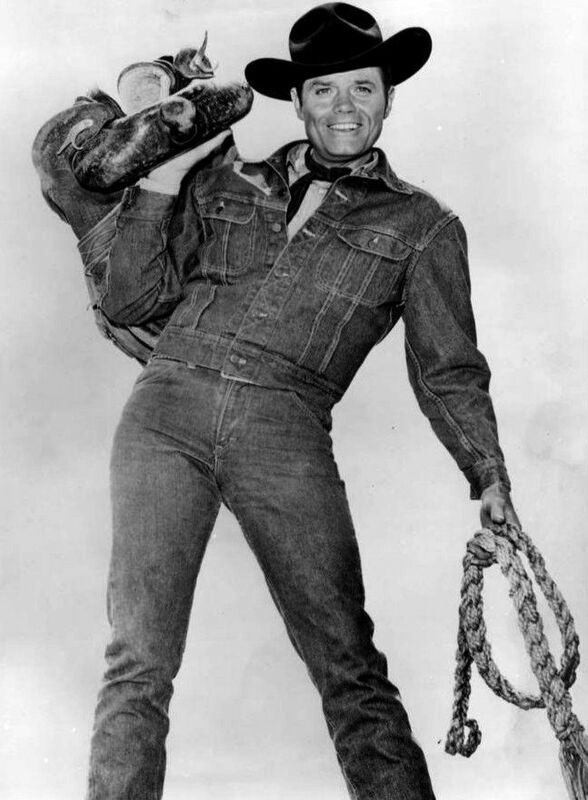 Jimmy Dean portrayed Charlie Bullets in 15 of the 16 episodes. His last role was as a guest star in two episodes of Harts of the West, with one episode airing in 1993 and the other in 1994. I will always remember watching the show when it was on network television. The following list shows 10 westerns among the Top 30 shows for the 1957-1958 season, with Tales of Wells Fargo ranked third behind Gunsmoke and Danny Thomas. When the name Pat Brady is mentioned most Roy Rogers fans instantly think of Brady and Nellybelle his jeep. 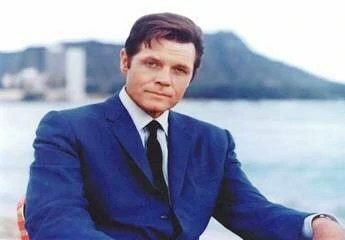 Pat Brady was born on December 31, 1914 in Toledo, Ohio as Robert Ellsworth Patrick Aloysious O’Brady. When the Sons of Pioneers hired him to replace Roy Rogers he was hired and agreed to change his name to Pat Brady. Brady appeared in his first movie Outlaws of the Prairie in 1937 as a singing ranger. He made several movies as a singing cowhand or singing rancher and was seen in many films that the Sons of Pioneers sang in. Pals of the Golden West was his last movie which was released in 1951. That same year he appeared in his first Roy Rogers television program and never acted in movies again. He was known for saying “Whoa Nellie” when driving the Willys CJ 2A jeep. If it were not for this man I would not be on this earth as he saved my fathers life during WWII. This man will always be a Hero to me. He received two Purple Hearts in Germany and served with General Patton’s 3rd Army. After leaving Roy Rogers television series Brady was only seen in one episode of four different western themed television shows making his last appearance in 30 Minutes at Gunsight in 1963. Bob Steele was born Robert Adrian Bradbury on January 23, 1907 with his twin brother William Curtis Bradbury in Portland, Oregon. From 1933 to 1945 Steele would appear in a staggering 104 movies which averages out to eight movies a year with him appearing in nine movies in 1935 and 11 movies in 1941. Starting with the Under Texas Skies in 1940 he would portray Tucson Smith in 19 westerns from 1940-1943. During 1943 and 1944 he would play himself in six movies but after 1944 he would never appear as himself again. He would sign a contract with Mongram in 1932 in which he was to appear in eight movies a year at a salary of $500 a week which totaled $26,000 a year. Compared to today’s stars it is a very small sum but with the country in the throes of a severe depression it was more money than most people made if they were fortunate to have an income of any kind. Steele would continue to make movies but with the advent of television he could be seen in both mediums. 1955 would mark the start of his television career with an appearance in Screen Director’s Playhouse as a deputy sheriff. Later that year he could be seen in Life and Legend of Wyatt Earp. This would lead to appearances in several of the westerns which were very popular at this time. He acted in Cheyenne, Colt .45, Sugarfoot, Have Gun Will Travel, Cimarron City, Tales of Wells Fargo, Maverick, Death Valley Days, The Californians, Lawman, The Rebel, The Deputy, Hotel de Paree, The Texan, Overland Trail and Rawhide. He continued to appear in Rawhide, National Velvet TV series, Whispering Smith, The Wide Country, Temple Houston, F Troop, Then Came Bronson and made his last television appearance in Family Affair in 1970. While making all those guest appearances on television he was also seen in movies in some of the better known movies of the time like Rio Bravo, Pork Chop Hill, The Longest Day (as a paratrooper), McLintock, Rio Lobo and his last movie Nightmare Honeymoon in 1974. Bob Steele appeared in his first movie in 1920 and his movie career ended in 1974 after making 234 appearances in either television or movies. Fourteen years after his appearance in Nightmare Honeymoon he would die on December 21, 1988 in Burbank, California from emphysema.